When looking for a high quality, deep pile shaggy rug for a modest price, you won't find many better than our Montana rug collection. Montana is hand tufted from a blend of soft polyester and acrylic. The Deep 8cm long pile is both luxuriously soft and dense. 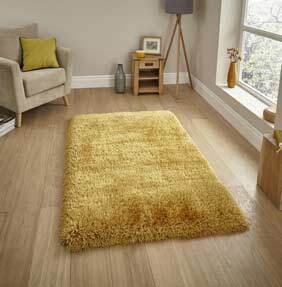 The perfect rug for adding comfort and luxury to any room, be it a living-room or your toes first step in a bedroom. Choose from 8 trendy colours, all made in 4 standard sizes.